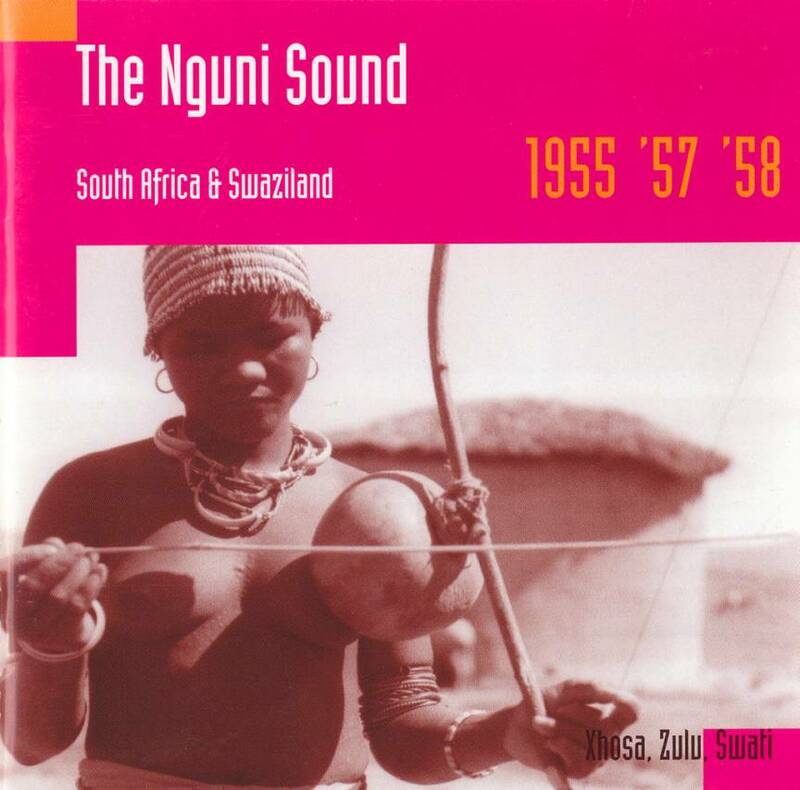 By 'the Nguni' is meant the peoples along the SE coast of Africa, who are known as Xhosa, Zulu, Swati. On this album we hear traditional unaccompanied groups singing with great vocal power, strength of melody, richness of harmony, and intimate songs with music bows – this is roots music, and these are the most authentic recordings of it! Also some examples of western instruments readily adopted, creative but a still definitely nguni sound, and the seemingly natural step to an own jazz style. Many of Tracey's recordings here have a special clarity – great sounds. Total time: 68'14". 24 page booklet. Tracklist: 1. Inkuku Into Ezakwnezeka, 2. Umalilela Imango Ingasiyo Yakho, 3. Ikostina, 4. Wolala, 5. Abatandani Ngumasingili, 6. Ndemka Nehlungulwana, 7. Ulele Matshawuzo, 8. Tsholoza, 9. Bayathetha Bantwana Ndinendaba, 10. Isigqumza, 11. Ubengalahl' Iinkomo, 12. Lo Mna Ndigula Ngohlanya, 13. Ulalele Ke Mbhemu, 14. Unonkala, 15. Ilizwe Lifile Kuzimfazwe, 16. Kuyashisha Emqhobo, 17. Ngazula Ezintabeni, 18. Emalomeni, 19. Two Flute Tunes, 20. Ngimthanda Nje Muhle, 21. Bae Lidzela Nyoni, 22. Incaba Kancofula, 23. Lezontaba, 24. Myekelen' Ahlome Ka La Kubeka, 25. Lantombeni. Songlines 2004 (GB): "The music is mostly vocal, with captivating backings of musical bow or guitar or concertina. The rural pieces are moving and the more urban examples give a clear indication of what was to become known as kwela or mbaqanga."